To feel complete again it's essential to go away. Last month it was France this weekend it was Jerome, AZ. Next time who knows where it will be. There's a train track fairly close to my house and although it's super noisy it is pretty in a rustic kind of way. I know this image is a little soft but how how cute is Riley in his handmade crown. I got the idea from Wit and Whistle. She made them for her two dogs. Riley was a good sport and was rewarded for it. Have a great week. On another note I will be having a giveaway. It will be to US residents only maybe in the future I will open it up. Sneak peek tomorrow. This sweet image is from vintage feedsack blog. So cute. One of the most addictive apps on my iphone. Here are some images that I've had on my phone using Instgram or shake it and decided to put them on here. With my Birthday coming up I sure would like one of these. We had so much fun in La Jolla we could have stayed there for another week but sadly all good things must come to an end. We actually went a month ago and I'm ready to go back. I said the same thing about Hawaii but who doesn'e like going on vacation. I have been looking for a vintage beach cruiser on Craigs List and haven't had any luck. I am actually looking for a vintage white beach cruiser. But in the meantime while I wait patiently to find the right one. I will post a photo of my bestie and her pink crusier. I hope everyone is having a great week. Everyone likes free stuff right? Well if you head on over to http://vintagesheets.blogspot.com/ you could win three pillowcases and a print by yours truly. It starts on the 9th and while you're there browse her blog. 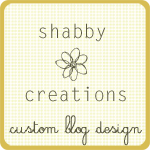 If you like to sew and you like vintage then her blog is the place to be. Have fun. That's what Mariann is. She's up for all of my crazy ideas and we always have some sort of crazy experience because of it.